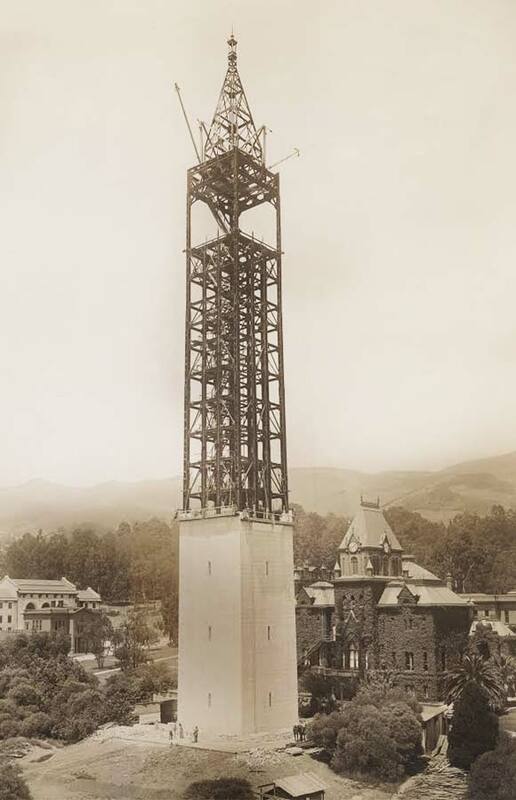 One hundred years ago, in honor of the near-completion of the Campanile’s steel frame, baskets of turkey, instead of tons of steel, were hoisted on the derricks to the top of the tower for a celebration banquet 200 feet in the sky. Just as UC Berkeley marked the centennial of that celebration Friday, campus officials are preparing for a celebration of their own in honor of the tower’s 100th birthday next year. The plans, however, are in their early stages, according to LaDawn Duvall, campus executive director of visitor and parent services. A committee has been formed to schedule multiple events throughout next year, with a finale event to take place on Homecoming weekend in 2015. 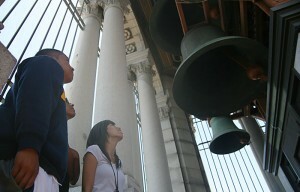 Still, the Campanile was not always a celebrated campus-community landmark. An editorial from The Daily Californian — published three days after the Jan. 31, 1914, celebration — argued the tower was not the best use of money. 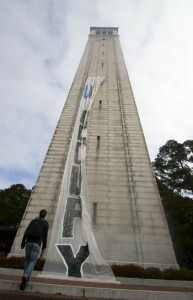 The construction was funded by a donation to the campus by university benefactor Jane Sather, who asked that the money be used to build the Campanile — formally known as Sather Tower — as a memorial to herself. Construction on the tower began in 1913. 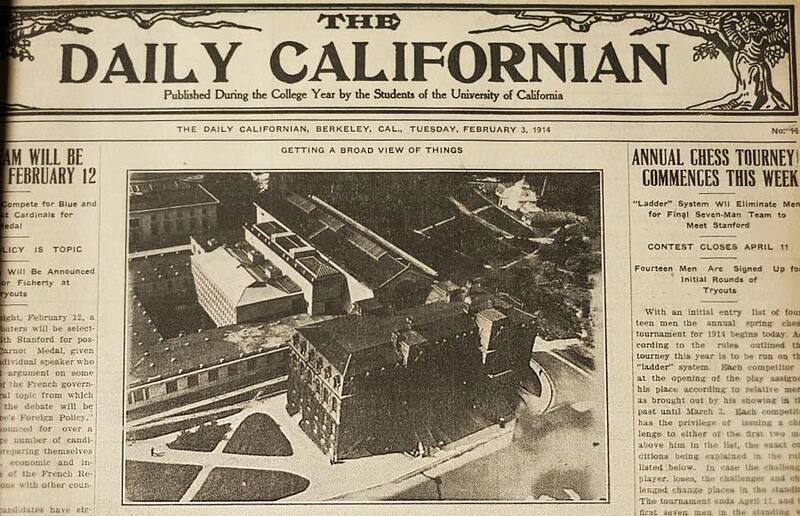 Despite the criticism, the Daily Cal marked the 1914 celebration by hiring a photographer to take pictures from the top of the tower, offering a view that then-UC President Benjamin Ide Wheeler called a “broad view of the campus and college affairs” in a speech the day before the event. The celebration was a deemed a success after Vivian Bowers “put to shame” two other caterers who were unable to make the feast happen, according to an article published in the Oakland Tribune on Jan. 31, 1914. The feast was given by the Campanile’s contractors to the construction workers. “It was somewhat nervous work getting started, but once on the flights of stairs I was not bothered at all,” Bowers told the Tribune following the banquet. The 1906 San Francisco earthquake likely impacted Campanile architect John Galen Howard’s design, said John Aronovici from the Berkeley Historical Society. 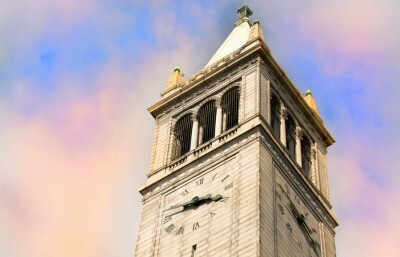 Today, the Campanile functions as a clock and bell tower, but if one proposal had come to fruition, the tower’s body could have been used for student housing, according to Aronovici. Although no students live in the Campanile today, many visitors have traveled to the top of the tower in its nearly 100-year history. Duvall said by tying part of the celebration to Homecoming weekend, she hopes more people will be able to take part in the celebration.